The tiler has been and the upstairs bathroom floor now has orange tiles. The grouting in the downstairs bathroom is finished – I think it looks brilliant. Nobody else was here today so I’m afraid there’s nothing else to report from the works. Things are slowing down a bit and I feel the onus is one us to get busy now. We had a look at carpets at the weekend and I must confess to feeling rather underwhelmed by the choice. There are 100’s of colours if you fancy beige, fawn, biscuit or cream. None of them are what we are looking for. We did take a couple of samples but I’m not convinced by those either. It’s going to be there for a really long time so it is crucial that we actually like the carpet we choose. our welcome daisies at the front door. these are so pretty and delicate, cannot remember what they are though. 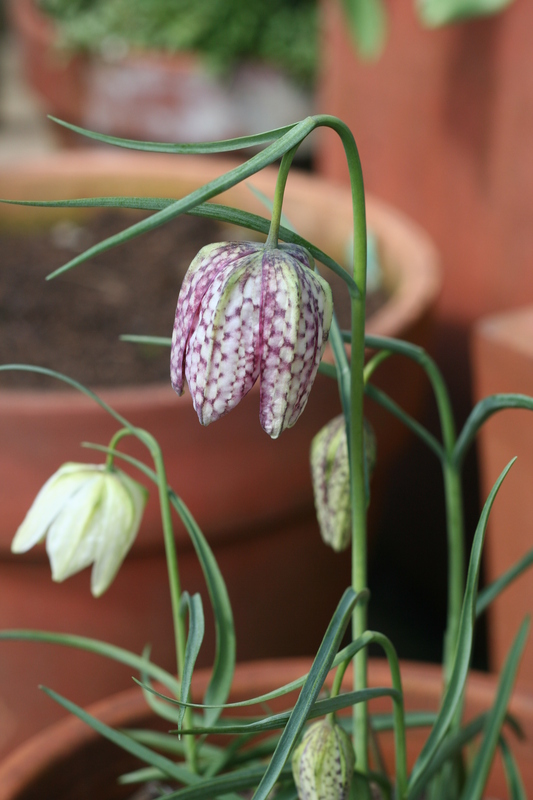 At last we are getting some flowers in the pots and some daffies in the garden. 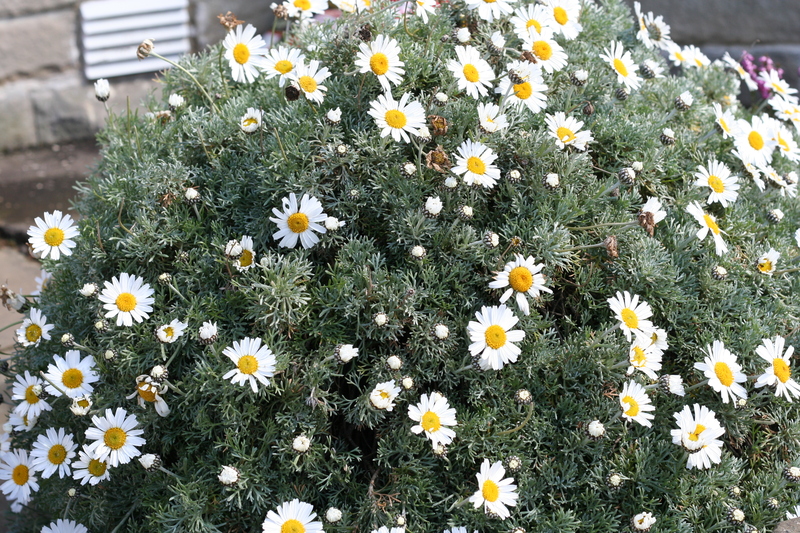 The daisies are amazing, they have been there for ever and are the most cheery welcome to the house imaginable. They are looking fabulous at the moment with loads of flowers and more to come. Thought you’d like to see them too. 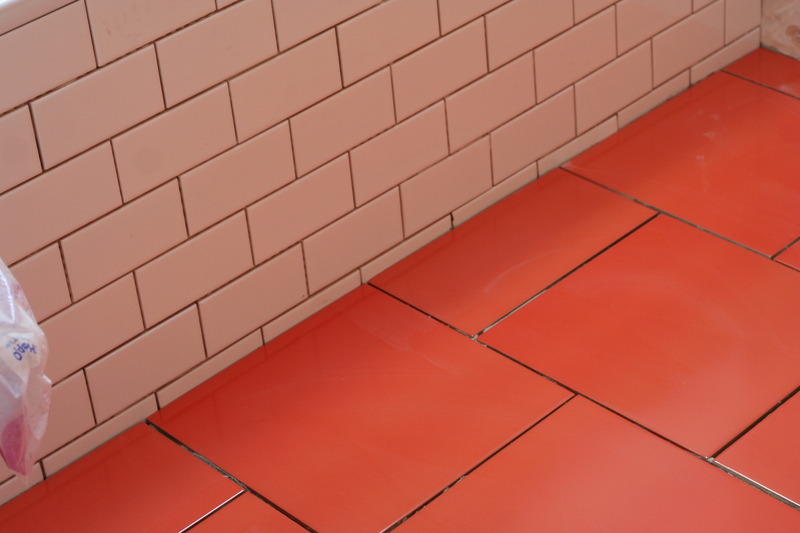 Love the orange tiles Katie – what a fab colour!